Muybridge was a pioneer in the advancement of photography and the development of the moving picture. 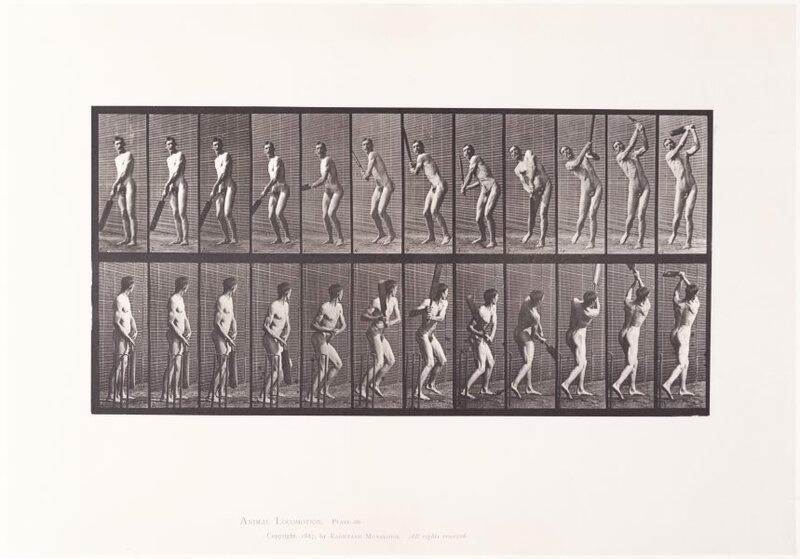 Studies of movement became a widespread fascination later in the nineteenth century and improvements in photographic techniques allowed for a lower exposure time making these studies feasible. 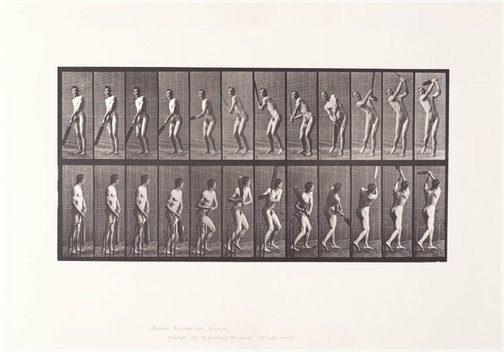 Having started his investigations in the 1870s, 'Animal Locomotion' is Muybridge's greatest work taking from 1884 to 1886 to complete. It contains 781 plates of animal and human movement for scientific and artistic purposes. 'Mr. Muybridge is not only an original but a daring man. He has smitten one of the gods of British ideology. Not the least instructive part of his lecture was his contrast between the positions of animals as shown in ancient or modern art with their true positions as shown by themselves in presence of the camera'. G.A. Sala, 'Tribune', New York, 24 June 1882.